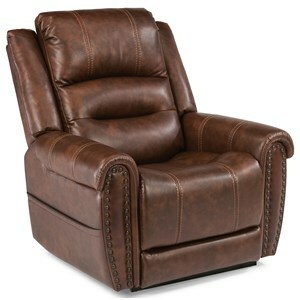 Experience supreme comfort with the Medium StellarComfort Power/Lift Recliner. It is designed for people from 5'3" to 5'10" tall and has a weight capacity of 500 lbs. It also features multiple reclining "StellarComfort" positions that place the feet above the heart and reduce lower back pressure. StellarComfort positions include the TV-watching, Trendelenburg, sleep, and zero-gravity positions, all available at the touch of a button. 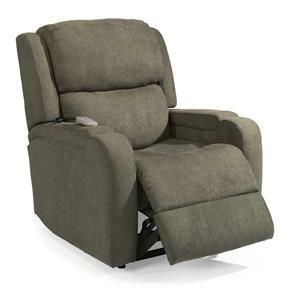 It features pocket coil seat with chaise footrest and pillow back that guarantees comfort. The backrest has a zipper to access the Dacron® fill and add or remove the fill to suit your needs. At the touch of a button, you can sit back and relax in a range of positions while watching your favorite movie or taking a nap. 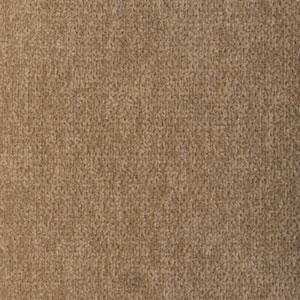 Available in multiple fabric options. Includes a battery backup system. 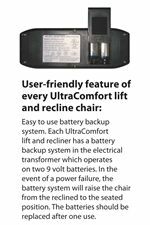 The StellarComfort Medium/Wide Power Lift Recliner by UltraComfort at Reeds Furniture in the Los Angeles, Thousand Oaks, Simi Valley, Agoura Hills, Woodland Hills, California area. Product availability may vary. Contact us for the most current availability on this product. Fabric Content Available in multiple fabric options. 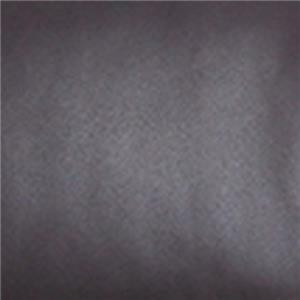 Fabric Options Some fabrics are in stock for quick shipment. Additional options available by special order. Seat Back Pillow seat back. Recliner Mechanism Includes "StellarComfort" reclining positions. StellarComfort positioning technology allows for a greater range of positions at the touch of a button. Warranty Lifetime warranty on chair frame, lift frame, and recline mechanism. 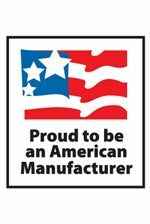 3 year warranty on electrical parts and mechanical labor; 1 year warranty on electrical labor. 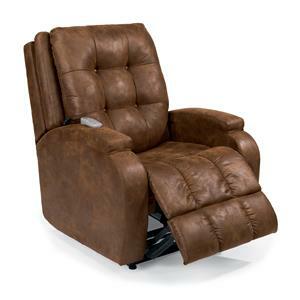 The StellarComfort Collections offers the most comfort of any lift recliner - guaranteed. Each model comes standard with the unique "Stellar Comfort" positioning technology. These positions place the feet above the heart and reduce lower back pressure, with the backrest and footrest working independently to create these positions. Including the TV watching, Trendelenburg, Sleep, and Zero-gravity positions, StellarComfort is a collection the whole family will enjoy. The StellarComfort collection is a great option if you are looking for Casual furniture in the Los Angeles, Thousand Oaks, Simi Valley, Agoura Hills, Woodland Hills, California area. 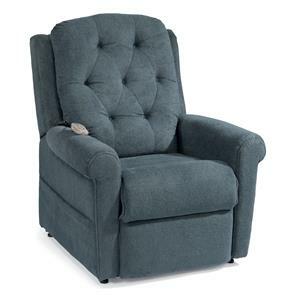 Browse other items in the StellarComfort collection from Reeds Furniture in the Los Angeles, Thousand Oaks, Simi Valley, Agoura Hills, Woodland Hills, California area.